Gerflor Taraflex is the largest indoor sports flooring company and an official supplier to the Olympic Games since 1976. The company needed a website for North American audiences that demonstrated their clout and provided a clean but exciting experience to facilitate users learning about the company's products, processes and values. 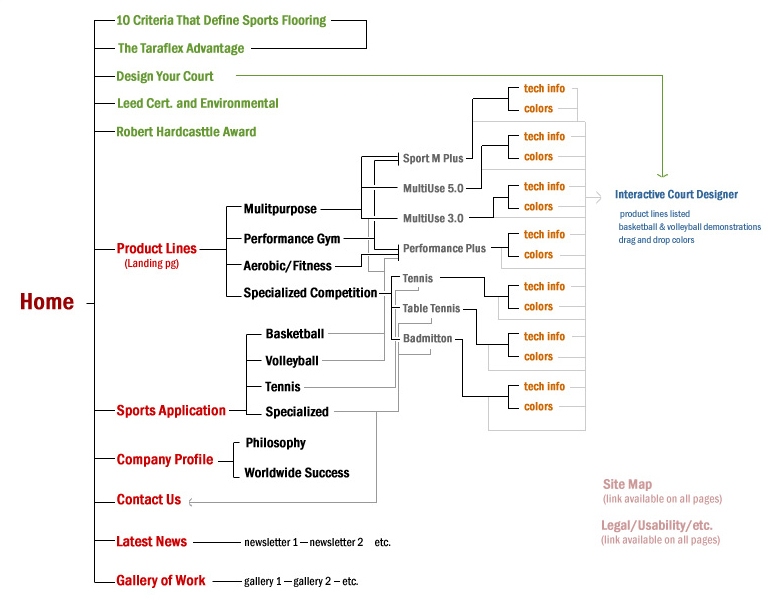 I designed and developed the site, developed an SEO strategy (#1 google search for indoor sports flooring for 4 years straight), and maintained the site from 2004 -2009. The site went through two design updates under my maintenance; below represents the last iteration. I typically respond within 24 hours. I look forward to getting back to you as soon as possible.